To celebrate St David’s Day and to tie in with our brand new exclusive coastal development in Broad Haven, Pembrokeshire, we have shared with you a wonderful Laverbread (Welsh: bara lafwr or bara lawr) recipe which you can enjoy all year round, but especially this St David’s Day. 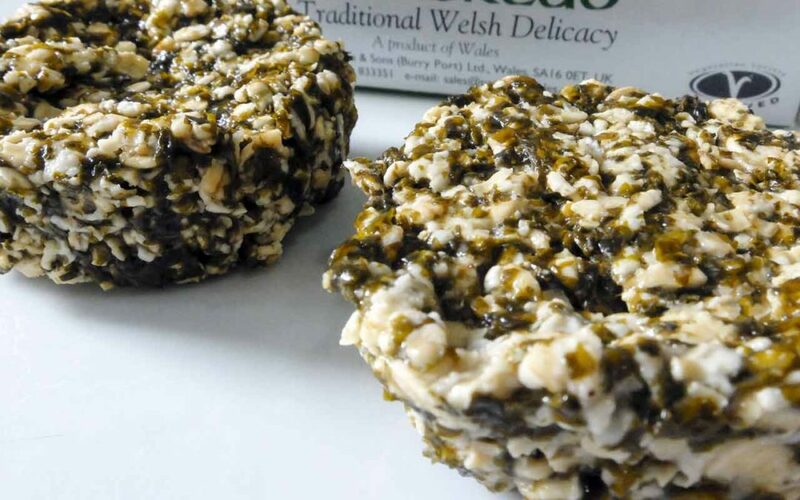 Found around the West coast of the UK, and along Pembrokeshire’s stunning coastline, laverbread is a traditional Welsh delicacy which is enjoyed all over the world. Laverbread is the most common way of using laver in Wales, and is typically eaten fried with bacon and cockles as part of a traditional Welsh breakfast. However, it’s just as lovely mixed with oatmeal and fried before being served with your cooked breakfast. Mix the laverbread with the porridge oats in a large bowl with a fork. Add a grind of black pepper and a good pinch of sea salt and mix well. Shape into small rounds using something like a cookie cutter as a mould. Depending on what size mould you use, you should get more than a dozen from this recipe. Frying them in bacon fat (rendered from cooking your streaky bacon in the oven first) until crispy and golden gives the best taste but using vegetable oil and then dabbing with some butter when cooked is almost as good and makes the laverbread a delicious addition to a vegetarian breakfast. Serve with the breakfast of your choice and enjoy!